When I worked as a classroom teacher, I had some students who were amazing at word challenges (e.g. taking a word and figuring out how many other words they could make using those letters). 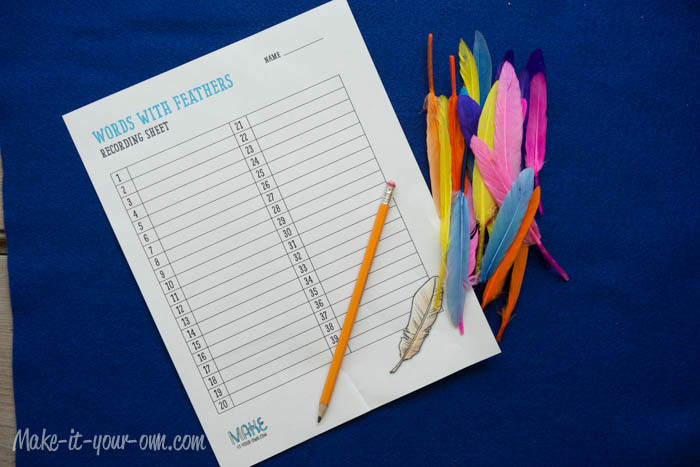 In that same vein, challenge your students or child at home to try to figure out how many words about birds they can spell using feathers. Get a large work surface such as a table. 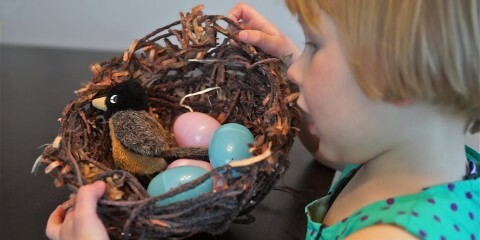 Cover it with a section of felt or a fabric table cloth (this helps hold the feathers in place). Put out 3 baskets (one with your feathers in them, one with sharpened pencils (with erasers) and one with copies of the recording sheets. 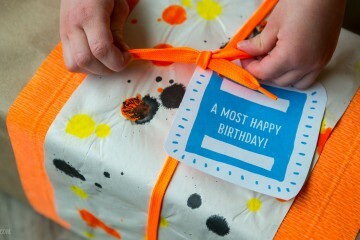 Print out the directions for the activity, put them in a page cover and tape them to the table or wall above. 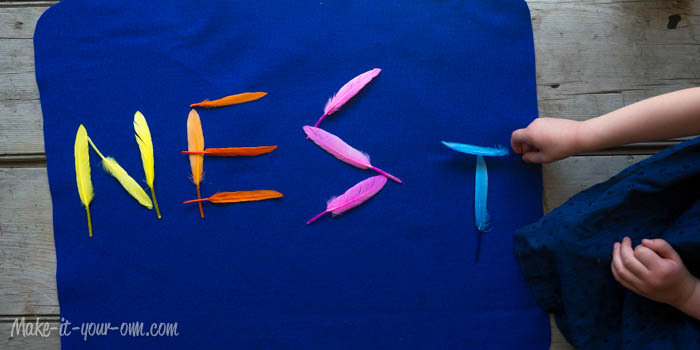 Show your child or students a few examples, using the feathers and then see what they can do, recording the words that they think of. 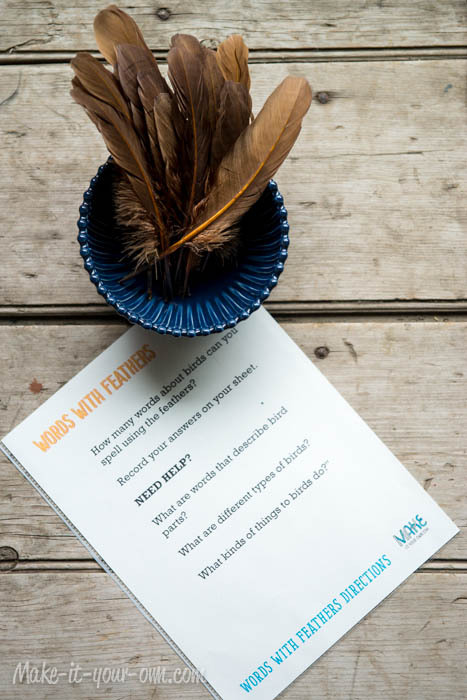 Some students may need some guiding questions such as, “What are words that describe bird parts? What are different types of birds? What kinds of things to birds do?” (These are on the Directions Sheet). 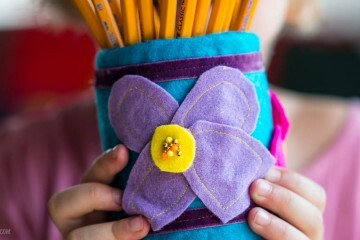 Some people may prefer to use craft feathers over found ones for cleanliness reasons.